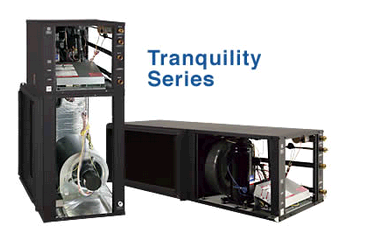 At Chuck's Heating & Air Conditioning, Inc., we comprehend the significance of a balanced air-flow system. We are a complete service HVAC company that focuses on airflow balancing, to insure you are getting the most out of your heating and cooling systems; helping you save money and energy. Our experienced specialists will account for every component of your home's systems including; ducts, airflow, possible leaks or atmosphere restrictions. As we've made our analysis, Chuck's Heating & Air Conditioning will make whatever repairs or modifications are necessary to possess your systems working precisely and improve airflow in your house. Devoted to residential and light commercial heating and air conditioning replacement, Chuck's Heating & Air Conditioning, Inc. is focused on maintaining clients in Northern KY cool. We deliver 100% customer care on every project. You can expect an extensive choice of air conditioner choices at affordable rates to satisfy your AC installation needs. Once you make use of Chuck's Heating & Air Conditioning, Inc., our trained service professionals will sit back with you to talk about your preferences and help finding out the most effective HVAC system for your budget. We pride ourselves on working hard to make certain not only affordability, but quality and complete customer satisfaction also. So whether you need installing and repairing air conditioning and heating systems for an individual unit or a complete business building, our trained and skilled technicians will provide the speedy, top-quality solution you can depend on.Give us a call @ 859 371 8624. As your heating system ages, it can lose efficiency or stop working altogether. At Chuck's Heating & Air Conditioning, Inc., we provide the highest level of quality in all our installations, and all jobs are performed by highly-experienced technicians you can trust.Our services include:Obtaining Permits for Residences and Businesses.Installation of All Major Brands.Design Support Based on Your Individual Needs.Custom Ductwork.Oil to Gas Conversions.Post-Installation Inspections.Free Estimates.ighly Experienced Technicians. Chuck's Heating & Air Conditioning, Inc. can repair your heating system or suggest a new system if needed. 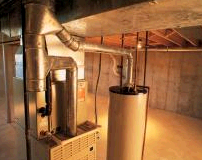 You may benefit from a new heating system if you have an old, inefficient furnace. There are several options to increase energy savings.Our services include:Obtaining Permits for Residences and Businesses.Repair of All Major Brands.Design Support Based on Your Individual Needs.Custom Ductwork.Oil to Gas Conversions.Post-Repair Inspections.Free Estimates. Specializing in residential and light commercial air conditioner replacement, Chuck's Heating & Air Conditioning, Inc. is dedicated to keeping clients in Northern KY cool. We deliver 100% customer satisfaction on every project. 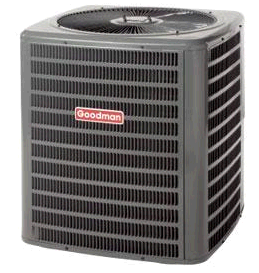 We offer a wide selection of air conditioner options at affordable prices to meet your AC installation needs. When you work with Chuck's Heating & Air Conditioning, Inc., our trained service technicians will sit down with you and your family or coworkers to discuss your needs and help you find the best air conditioning system for your budget. We pride ourselves on working hard to ensure not only affordability, but quality and complete customer satisfaction as well. So whether you need air conditioner installation for a single unit or an entire office building, our highly trained and experienced technicians will provide the speedy, high-quality service you can always depend on. Call today to learn about our AC system installation options. ClimateMaster Geothermal Heat Pump Systems can save you up to 80% on your energy bill by using the constant underground temperature of your home. You may also qualify for a 30% tax credit with no cap for installing a Geothermal Heat Pump System in your home.